Trump chides our most reliable ally … nice! Donald J. “Tweeter in Chief” Trump campaigned for the presidency on the promise that he would shake things up, that he would do things differently. Oh, brother. Has he ever! Take the tiff he initiated with the United States’ most trusted, reliable and steadfast ally: Great Britain. He retweeted an inflammatory anti-Muslim message that originated from Britain First, a fringe right-wing group that hates Muslims. Pressure is now mounting in the UK for British Prime Minister Teresa May to disinvite the president, who is set to make a state visit before the end of the year. Trump’s conduct via Twitter has demonstrated quite graphically that he doesn’t seem to give a royal flip about offending our nation’s political forebears. Matthew D’Ancona, a commentator for The Guardian, wrote this: As it happens, I came to the conclusion that Mr. Trump’s visit should be canceled in August, after the murderous white nationalist rally in Charlottesville, Va. When the most powerful person in the world fails the simplest test of democratic leadership — answering the question “Were the Nazis uniquely bad?” — the whole world is involved. The president failed that test conspicuously and gave comfort to the loathsome “identitarianism” that understands society as a competition between races, tribes and religion. Trump and May engaged angry tweets over the video. 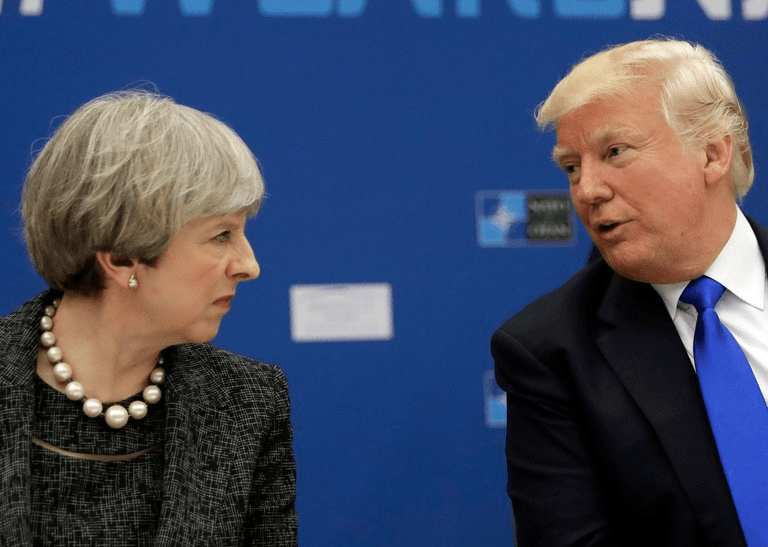 May chastised Trump for inflaming prejudices in the UK; Trump responded that she shouldn’t worry about the president, but should worry more instead about the threat of terrorism. This is a ridiculous way to treat a trusted ally. I’ll stand with those who are urging Prime Minister May to cancel the state visit. Now! Where have the deficit hawks gone? I always have thought that congressional Republicans were deficit “hawks,” officials who hated federal budget deficits and certainly derided those spendthrift Democrats for piling up the national debt. Why, then, are GOP senators so intent on pushing a tax cut bill that will explode the annual deficit and add hundreds of billions of dollars to the debt? A new non-partisan analysis indicates that the GOP tax plan will spur some limited economic growth, but it’s going to add $1 trillion to the deficit. The Joint Committee on Taxation, the Congressional scorekeeper for tax bills, estimates that the Senate tax bill could generate enough growth to create nearly $408 billion in new revenue over a decade. But even with that additional revenue, the bill would still add an estimated $1 trillion to deficits. 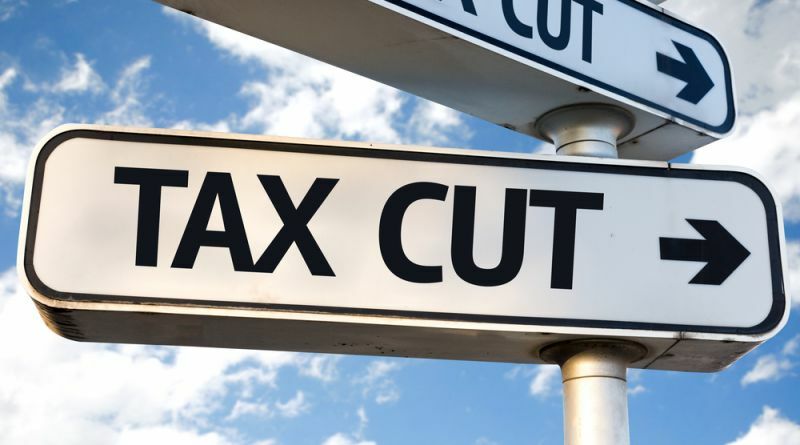 JCT’s macroeconomic analysis — also known as a dynamic score — falls far short of Treasury Secretary Steven Mnuchin oft-made claim that the tax cuts will pay for themselves. There also doubts about whether the wealthiest Americans are going to pay more or less under the GOP-railroaded tax overhaul. 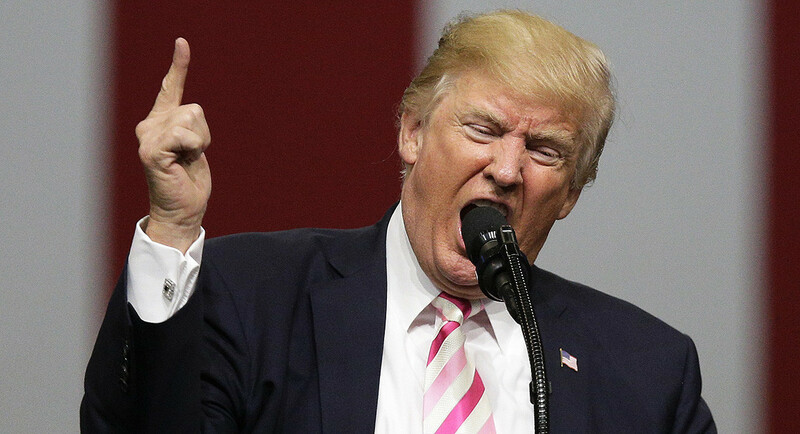 Donald Trump keeps insisting it will “cost me a fortune … believe me.” Actually, I’ve discovered that whenever the president says “believe me” I need to discount the veracity of any point he is trying to make. But if Republicans are so damn hawkish on budget deficits when Democratic presidents are seeking to boost the economy, shouldn’t they remain that way when their political brethren seek to do the same thing? 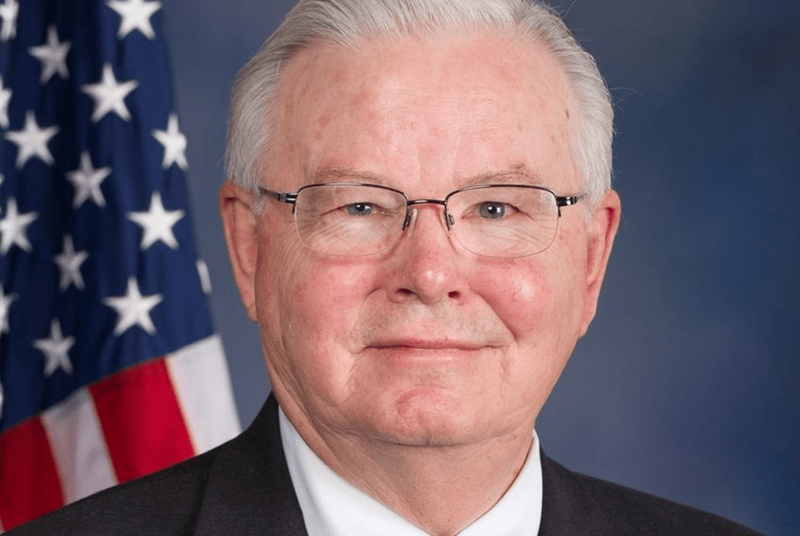 Now it’s Joe Barton who’s bailing out of the U.S. House of Representatives. Barton is a Republican from Ennis who reportedly sent some nasty pictures of himself over Twitter while he was engaged in a relationship with a “mature, adult woman.” The scorn poured over him. Barton, the senior member of the Texas congressional delegation, hung tough for a little while. Then he announced his retirement, effective at the end of his current term in 2018. Barton had to go. His departure should be a surprise to anyone. The mood across the country has revealed a diminishing tolerance for public officeholders’ lewd behavior. Barton, of course, was careful to explain that the recipient of the hideous pictures was engaged in a consensual relationship with him. Fine, congressman. Hit the road, will ya? Barton is just the latest in a long list of Texas lawmakers who are calling it quits. His announcement, to no one’s surprise, contains no mention of the trouble he brought onto himself. 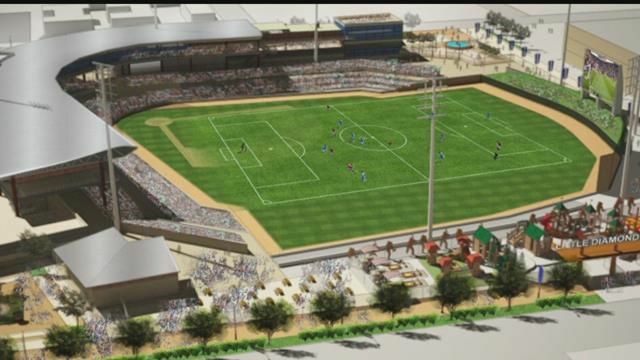 Read more about Barton’s announcement here. With the departure of the Texas congressional delegation’s dean, the longest-serving member from Texas is Eddie Bernice Johnson, D-Dallas, who took office in January 1993. And, hey, that means the Panhandle’s GOP House member, Mac Thornberry of Clarendon, who was sworn in just two years later, in January 1995, becomes the No. 2-ranked tenured member of the delegation. I mention that only because Thornberry was elected in that 1994 Republican wave that ran on the Contract With America, a lengthy platform of government reforms that included term limits for members of the U.S. House and Senate. Thornberry has voted for term-limit amendments to the U.S. Constitution whenever they were presented to House members; they just haven’t gotten the votes needed to be referred to state legislatures for ratification. And, no … he never made a personal pledge to bow out after three terms in the House. I just thought I would bring it up because it seems oddly relevant. I have boasted about my own adaptability in the face of upcoming big changes in our life. However, I am a piker compared to Toby the Puppy when it comes to adaptability. For that matter, so is my wife. 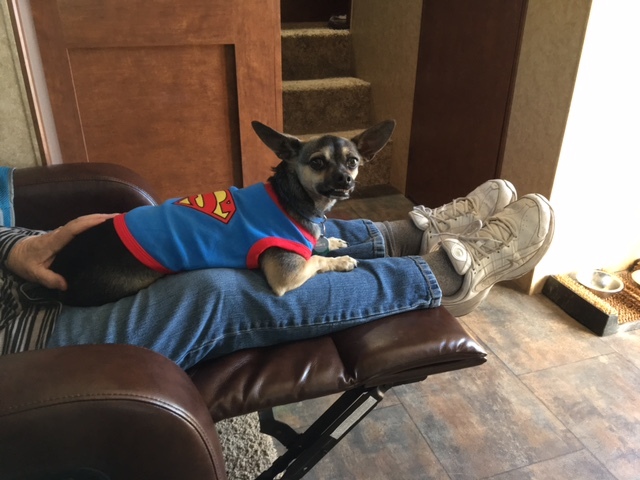 Toby has adjusted quite nicely to RV living. That, full-time RV living. We have taken the plunge. We have vacated our house and moved full-time, all the time into our 28-foot fifth wheel. How has Toby the coped with the change? Just fine. Thanks for asking. He’s a puppy with relatively few needs. All he seems to insist on is for Mommy and Daddy to be nearby. We are happy to oblige. Yes, he has been forced to make his share of adjustments, just as my wife and I have made them. Perhaps the major adjustment in Toby’s life has been for him to tell us he needs to go outside. It’s a non-verbal request, to be sure. He goes to the door of our RV, stands there looking anxious. My wife and I have become quite fluent puppy body language. It used to be easier for Toby. Going outside meant he would open the back door of our house and turn him loose into our fenced-in backyard. These days, the process requires us to attach a leash to his collar or his jacket. Then we have to go out with him. That is not an issue for either my wife or me. We still toss his toys and he still fetches them and brings them back to us. Toby sleeps through the night and in fact gets so comfortable he’s often the last one to roll out of the sack in the morning. Adaptable? Yep, Toby the Puppy is the canine definition of the term. Allow me to express my absolute disgust, disdain and dismay at the president of the United States. While calling this week for a boycott of CNN and retweeting vicious anti-Muslim videos — two things worthy of criticism as well — Donald John “Smart Person” Trump Sr. decided to reignite the phony birther issue involving the man he succeeded in the White House. Sources told CNN that Trump believes he would have done even better in the 2016 election had he kept hammering at the bogus notion that Barack Obama was born in Kenya and was ineligible to run for president of the United States. How else can one view the president’s notion here … except to declare him to be racially motivated? It’s fair to ask whether the president harbors racist sentiments. Why does the idiot in chief keep insisting that this is a real issue? I suppose I should note briefly that the story is bogus on another level as well. Barack Obama was born in Hawaii in August 1961; he has proven it. However, his mother was an American, a U.S. citizen, which granted him American citizenship immediately upon his birth. This … is a non-story. It’s phony. The “birther” issue is yet another lie. Is she — or is she not — the Dallas County sheriff? 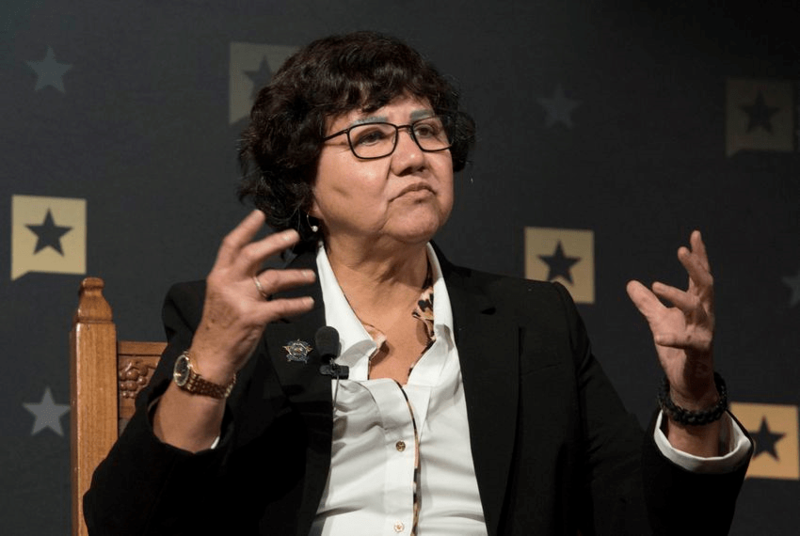 Lupe Valdez says she’s still the top cop in Dallas County, Texas. She denies reports of her resignation. But she still is thinking about running for Texas governor, as a Democrat. She might challenge Gov. Greg Abbott, the Republican who recently announced his re-election campaign. I am not going to comment on Sheriff Valdez’s work as Dallas County sheriff, given that I live way up yonder in Amarillo. I would like to offer a brief comment on the reasons she has posited for considering a run for governor. She has grown weary of Republican dominance of Texas politics. To be candid, so have I. So have other Texans. Democrats have been yearning for a serious challenger to Abbott in 2018. None has emerged. Valdez might be the one. Now … before you get on my case for being one of those partisan Democrats who wants to see Republicans toppled at every turn, I want to make an important stipulation. I moved to Texas in the spring of 1984. I took up my post as an editorial write — and later editorial page editor — of the Beaumont Enterprise. The Golden Triangle in the early 1980s was still a heavily Democratic bastion. Every elected office belonged to Democrats. And I noted at the time that I believed that good government would do well to see greater Republican challenges of Democratic officeholders. 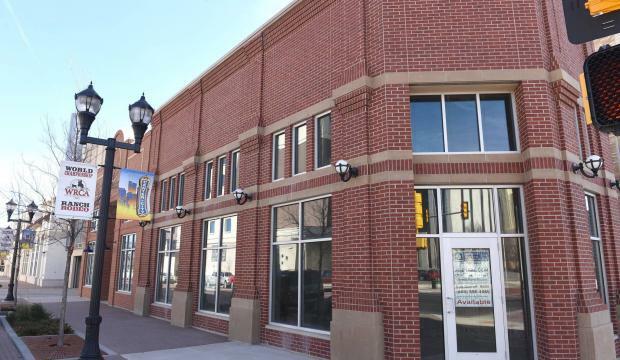 Read the Tribune article here. Healthy challenges force incumbents to defend their record. They must make the case for their re-election. Texas, which once was dominated by Democrats, has totally shifted its political tilt. Republicans have commanded every statewide elective office for more than two decades; the one exception occurred four years ago when Texas Court of Criminal Appeals Judge Larry Meyers switched from Republican to Democrat while he was still in office, only to lose his bid for re-election in 2016. I hope Valdez runs for governor. I might even vote for her if she wins the Democratic primary and challenges Abbott in the fall of 2018. If it comes to pass, then let the debate commence. Leave it to Donald John “Fake News Conspirator in Chief” Trump to say precisely the wrong thing in the wake of a growing scandal involving men who have been accused of mistreating women. 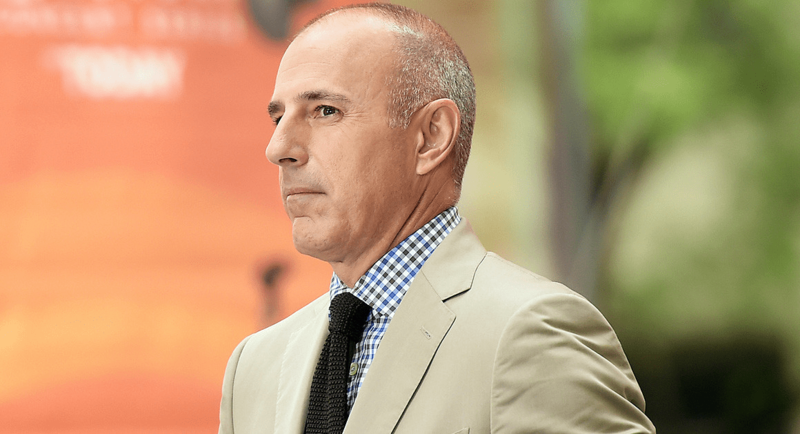 NBC News announced that “Today” co-host Matt Lauer got canned because of alleged “inappropriate sexual behavior” with female colleagues. Lack is the president of NBC News and the man who announced Lauer’s firing this morning prior to “Today” going on the air. Trump’s obsession with what he calls “fake news” would be laughable, were it not that the president himself is the No. 1 purveyor of outright lies and phony conspiracies. Of course, the president isn’t going to offer any kind of cogent comment on the issue that took Lauer down, given his own problems in that regard. Thus, he is left to blather about something that has no connection to reality. I awoke this morning, looked at my social media news feed and saw that NBC fired “Today” co-host Matt Lauer for “inappropriate sexual conduct.” It didn’t end with that stunning announcement. Later today, I saw that NPR icon Garrison Keillor also has been let go by the public radio network for, um, similar conduct. This is getting even more stunning than it was before. NBC went straight for the throat in canning Lauer. The network didn’t wait for any further substantiation of the allegation that came from a network colleague. 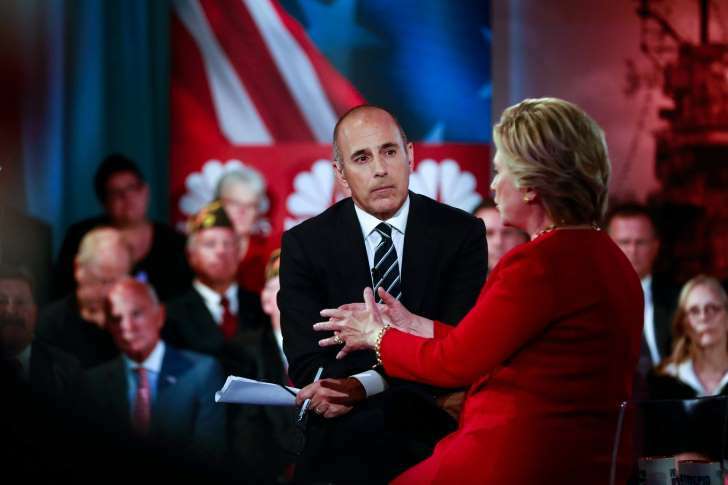 At this moment, I don’t even know the particulars of what the woman accused Lauer of doing to her. The network acted immediately on hearing what I am going to presume it believes was a credible accusation. Network news icons are falling like tall timber. Bill O’Reilly, Charlie Rose, Matt Lauer, Garrison Keillor. Those are just the biggest of the big names. Then we have the likes of Mark Halperin and Glenn Thrush who have lost their jobs over accusations of misbehavior with women. I haven’t even mentioned — until this very minute — the accusations that have sullied the reputations of political leaders. It’s a bipartisan affliction. I’m beginning to think that employers will need to revamp the applications they ask prospective employees to fill out. Many businesses ask applicants if they’ve ever been convicted of a felony. That’s fine. They will now likely have to ask: Have you ever committed an act that someone could construe to be sexual harassment … or worse? This wave of dismissals amid accusations looks for all the world like a purging that needs to occur. Donald J. Trump was caught blabbing to an entertainment host about how he treats women. He treats them badly, according to the recording. Trump then acknowledged when the recording became known that it was “locker room talk.” He blew it off. 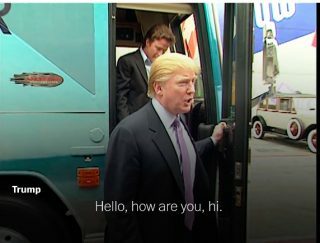 Oh, but now the president says in private the “Access Hollywood” audio is fake. It’s not his voice. The president’s penchant for delusion is stunning. He also seems to believe that the public that knows what it heard is willing to accept this lout’s denial that he said what we heard him say. I’ll add here that Billy Bush, the TV host caught laughing and carrying on when Trump talked in the 2005 recording about grabbing women by their private parts lost his job over his role in the hideous recording. So now the president is suggesting that Bush got fired … for nothing? Is that what the groper in chief is telling us? And then there’s this: The president reportedly has reopened that idiotic “birther” controversy involving former President Obama. Trump has been at the forefront of the lie that Obama was not born in this country and, thus, was not eligible to run for the presidency.